Let’s set the stage for these properties. 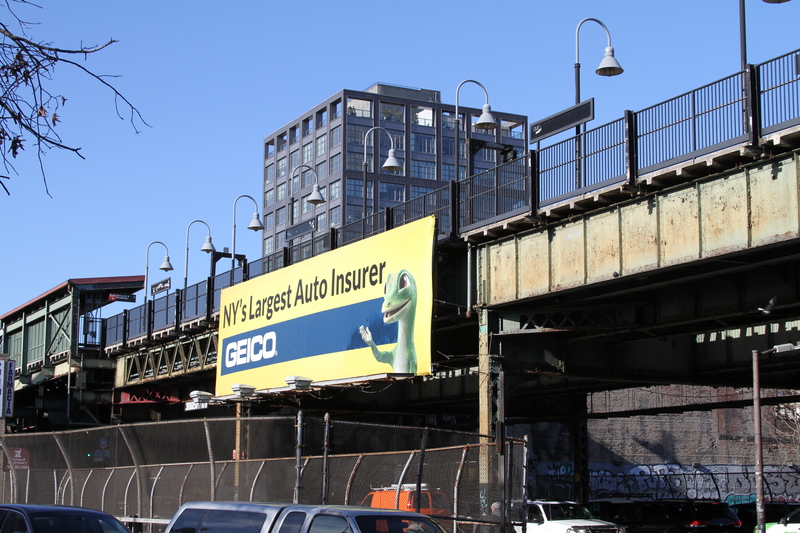 Intersecting north and south is the BQE, a roaring expressway filled with some of New York’s angriest drivers. Intersecting east and west is the JMZ line, an elevated relic from a time when New York had a functioning transit system. Beneath the JMZ line is a perpetual sprinkle of particulates, lining street awnings, windows, and well sat vehicles with whatever falls off the elevated structure, whether from pigeons or trains. Broadway runs under the train, providing an additional four lanes of stimulus with honking drivers, subwoofers, and the bustle of New York. Are you sold yet? Want unparalleled views to it all? 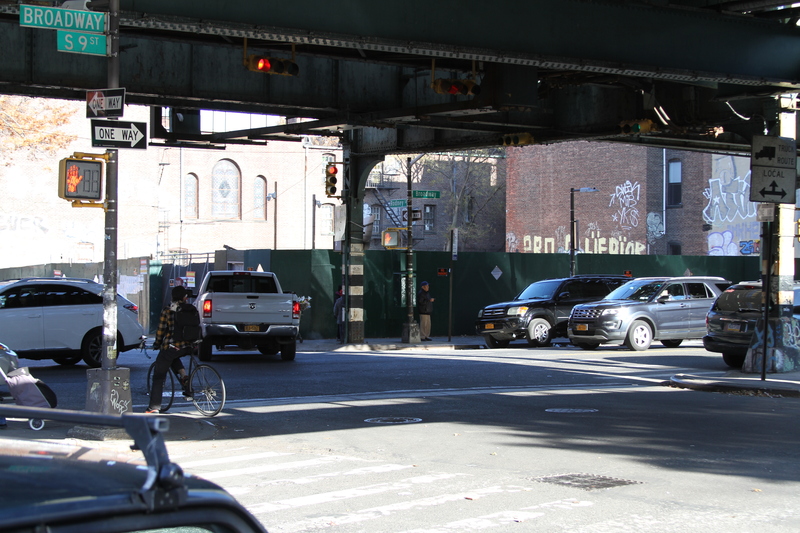 Welcome to Williamsburg (east…shhhh). South side of Broadway looking at 329 Broadway. JMZ line and Broadway at Rodney Street. 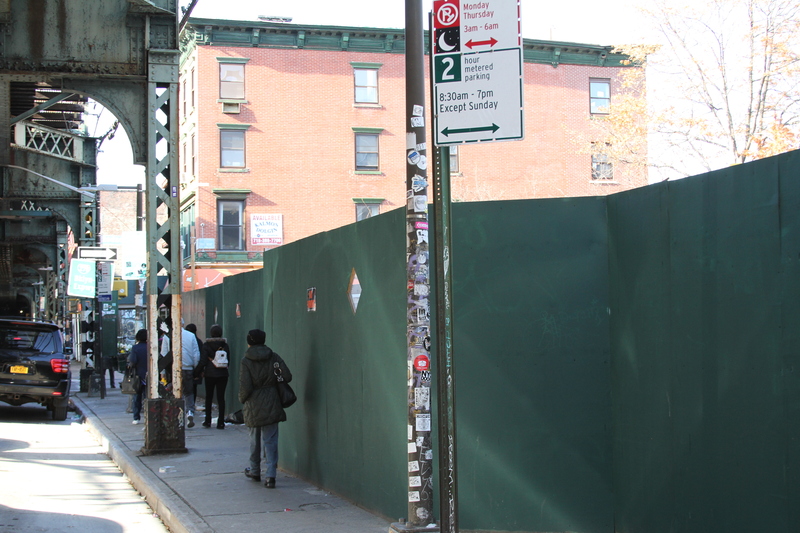 Mind you, these projects are not located in “THE” Williamsburg, you know, the Williamsburg where dreams come true. This is just east of the BQE, where gentrification has certainly been no stranger, but then again, this isn’t swank Bedford Avenue at, oh, North 5th Street and beyond. There are bars and restaurants in the area for certain, but there’s no unifying boulevard like Bedford or even Driggs Avenue. 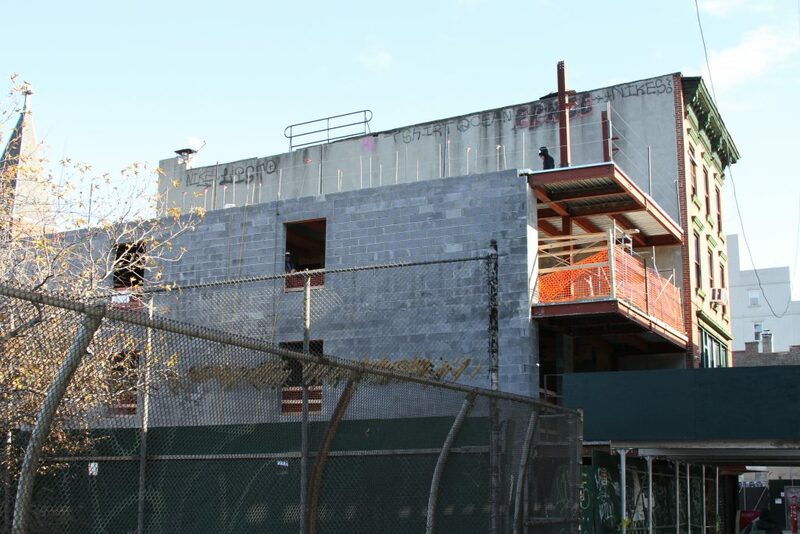 So the tenants won’t be at the forefront of the action, with “prime” Williamsburg about a 20 minute walk away. It’s up to these projects to BE the action. Of the two projects, 319 Broadway is closest to the BQE. During the time of our visit, there was some minor active construction, but there was no major structural work or concrete pouring. 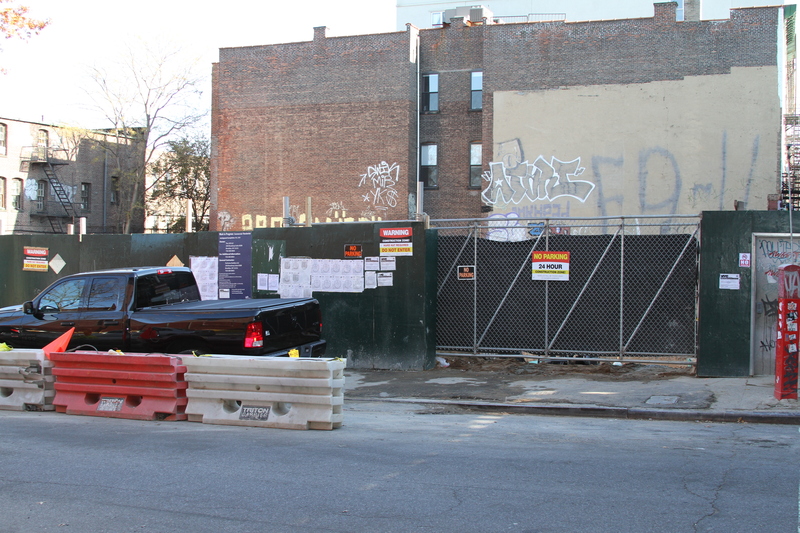 When complete, DOB records reveal the structure will be a 6 story, 10 unit mixed use/residential building. 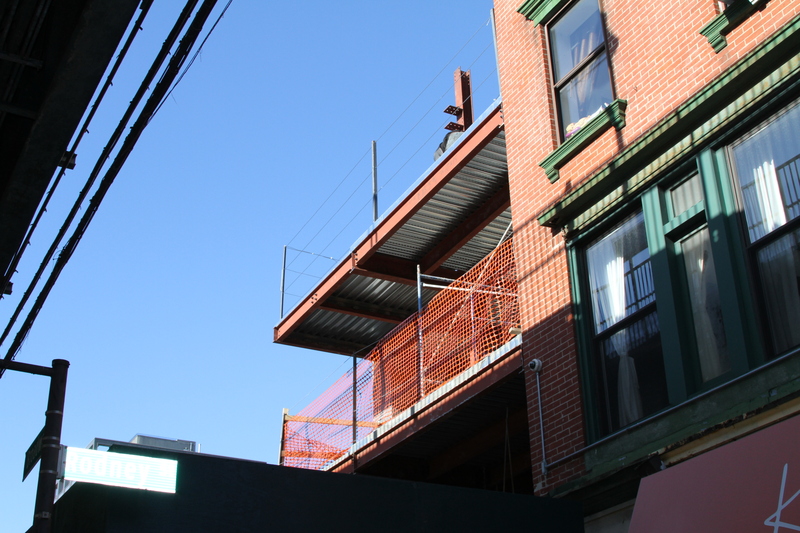 It appears from the exterior rendering and progress thus far that each floor will have its own balcony. You can almost reach out and touch the JMZ line. 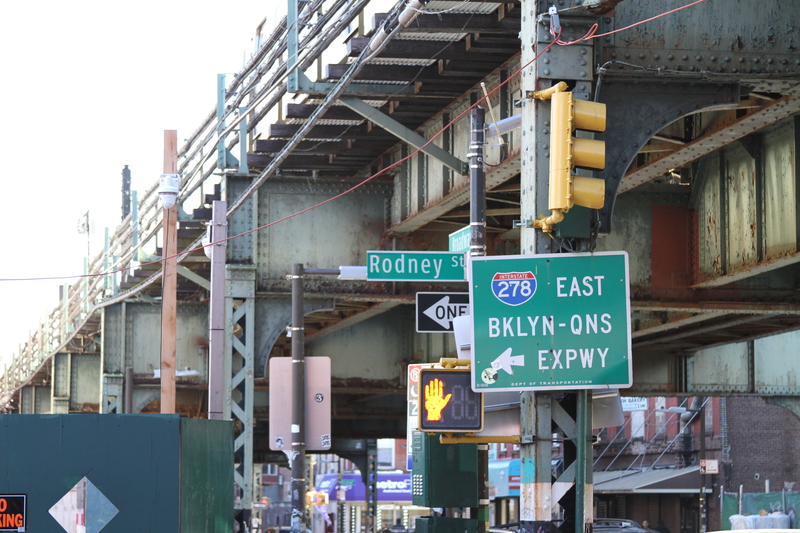 You can smell the BQE just a few dozen feet away. According to ACRIS, 319 Broadway LLC is the legal entity that owns the property. Further, there are no regulatory agreement on file that would convey rent stabilized status or affordability to the apartments. Also, DOF records do not indicate any 421-a tax benefit that would convey rent stabilized or affordable status. Chances are, this building will be market rate. This development, owned by The 329 LLC, is taking shape just across the street at the east corner of Rodney Street and Broadway. Construction here was bustling at a quicker pace. 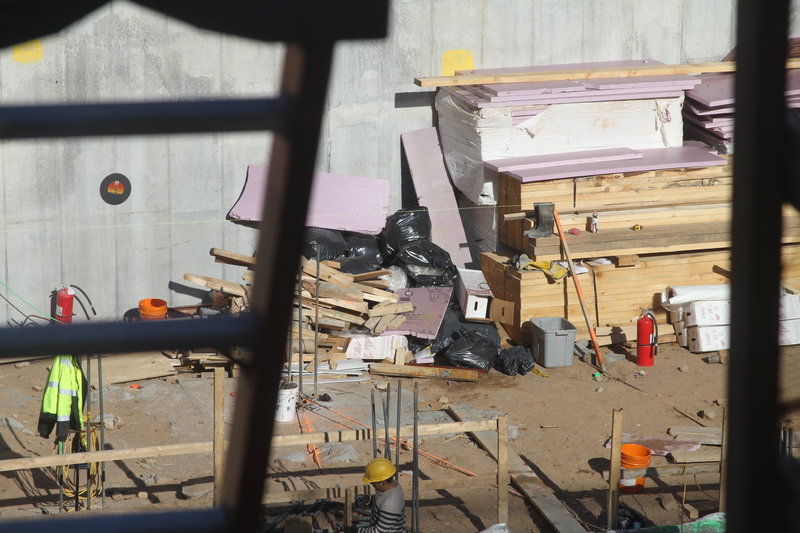 Foundation work looks mostly complete, with workers preparing the site for the next step – install the building! A mighty market rate tower will stand here one day. Daily life along 329 Broadway. This is a much larger project that takes up a substantial portion of the block’s footprint. Here, we’re talking about a 16 story project. This will top “The Williams” 13 story contribution to the JMZ line, making 329 Broadway the JMZ line’s tallest (ok, east of the East River, if you insist). The Williams, or 282 South 5th Street, is only 149 feet tall, according to DOB records, while 329 Broadway will be 195 feet. Note, however, The Williams has 82 units to 329 Broadway’s 63 units. That’s 19 fewer units despite 3 extra stories, although to be fair, The Williams does have a larger footprint. Like 319 Broadway, this project has no regulatory agreement on file in ACRIS that would convey rent stabilized status, or affordability. And there is no 421-a tax abatement on this property either. 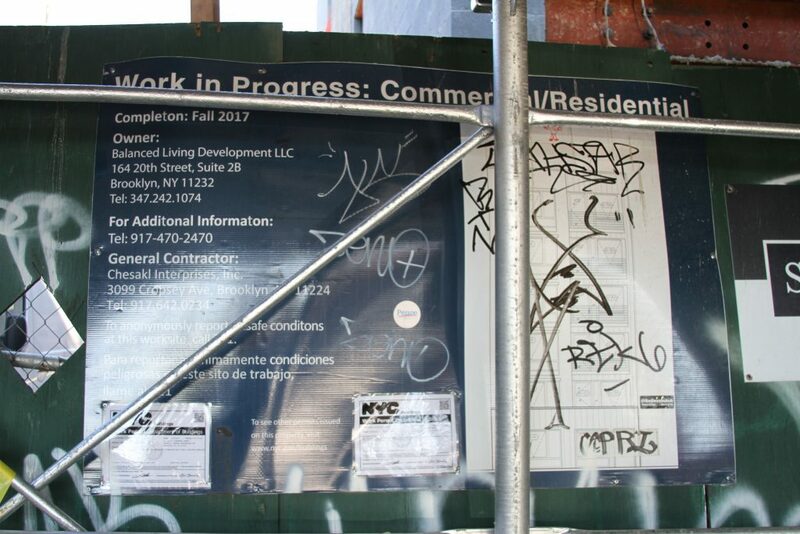 The verdict: there are plenty of market rate apartments (ok, 63+10) coming to Williamsburg, and the community’s tallest project along the JMZ line is on its way. The rental cost is not yet known, but this is still Williamsburg, and rates in the area are still extraordinary.